Determining negligence in a slip and fall accident is not always clear-cut. However, while negligence is determined on a case by case basis there are some characteristics of an accident that can indicate negligence by the property manager or workplace. For example, the owner may have known the condition existed and negligently failed to correct it. Poorly lit rooms, unmopped bathroom floors, and unattended paint spills are all examples of a slip and fall danger that a property manager should correct. Furthermore, if a slip and fall danger existed for such a length of time that the property manager should have discovered and corrected it prior to the slip and fall incident in question this can indicate negligence as well. Do Wet Floor Signs Protect Property managers from Negligence Claims? Wet floor signs in the area warning customers and employees of the hazard can dispel negligence as they raise awareness of a slip and fall danger. However, just the presence of a wet floor sign can sometimes not be enough. As discussed above, if the owner does not also make an effort to take reasonable and ordinary care of their property simply warning foot traffic of an impending slip and fall danger may not completely erase their liability in the accident. Businesses have a duty to keep conditions safe for customers. 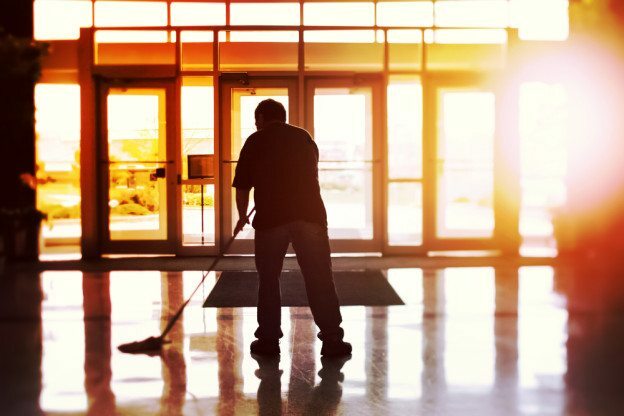 If a business owner does not take swift action to clean up spills, warn customers through appropriate signage, or even regularly mop an entrance area during a particularly rainy day, this is considered a breach of duty. If this breach of duty caused you to slip and fall and suffer serious injuries, then you should seek legal help and understand your options. While sometimes it’s necessary to clean floors and wipe up spills, businesses have a responsibility to follow laws regarding wet floor safety. If you have slipped and fallen on a wet floor that had no warning signs, seek legal help right away. Call the Law Office of Jeffrey K. Kestenbaum to schedule a consultation with an experienced Brooklyn personal injury lawyer. Contact our Brooklyn office at (718) 237-5586.